Diabetic retinopathy is a complication of diabetes that impacts the blood vessels that nourish the retina. When diabetic retinopathy is present, these blood vessels begin to grow abnormally. Growth abnormalities can cause damage to vision as well as other complications, making it vital for those who notice the signs of diabetic retinopathy, such as floaters and flashes, to seek treatment immediately. At Monterey County Eye Associates, we specialize in treating diabetic retinopathy and other retinal disorders with advanced techniques to provide our patients with optimal outcomes. Now, let's take a moment to consider some risks of diabetic retinopathy and why it's important to seek treatment. If you would like more information about the risks of diabetic retinopathy and live in or around Monterey, CA, we welcome you to contact our staff to schedule a consultation. Retinal detachment is a condition in which the retina pulls away from the tissues and blood vessels that support it. 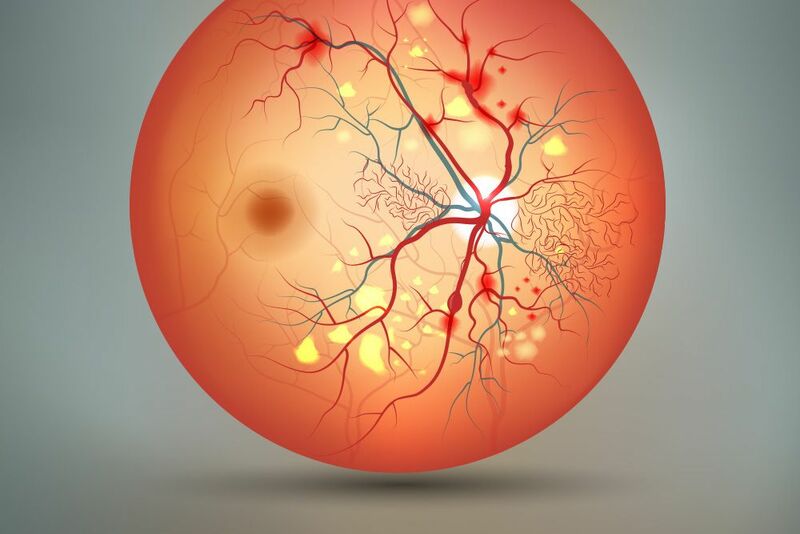 Diabetic retinopathy can cause retinal detachment as a result of the growth of scar tissue linked to the development of abnormalities in the blood vessels around the retina. Some signs of retinal detachment include flashes of light, floating spots, or darkening of the peripheral vision. Retinal detachment is a medical emergency that can lead to permanent vision loss if not treated. A vitreous hemorrhage occurs when blood leaks into an area of the eye called the vitreous humor. The vitreous humor is a clear, gel-like material that is found between the lens and the retina of the eye. A vitreous hemorrhage may occur when diabetic retinopathy is present and is a result of leakage from abnormal blood vessels. The symptoms of a vitreous hemorrhage will be more or less severe depending on the amount of blood that has leaked into the vitreous humor. A small amount of leakage may cause a person to see a few floaters, or dark spots, while a more serious leakage has the potential to cause temporary vision loss. Vision often returns to normal as the blood clears from the vitreous humor. However, in some cases, the retina will be damaged and vision will be permanently affected. Glaucoma is a group of eye conditions in which the optic nerve, the nerve that connects the eyes to the brain, becomes damage as a result of high pressure inside the eye. Diabetic retinopathy can lead to the development of glaucoma when damage to the blood vessels causes new, abnormal vessels to grow. As these new blood vessels develop, it may interfere with the natural flow of fluid within the eye. This can lead to an increase in eye pressure, causing glaucoma to develop. Some symptoms of glaucoma include blurred vision, distorted vision, or vision loss. Some people may experience no symptoms. The biggest risk of diabetic retinopathy is complete vision loss. Blindness may occur as a result of damage to the retina, damage to the blood vessels that nourish the retina, or from other complications of diabetic retinopathy, such as glaucoma or retinal detachment. To learn more about treatment options for diabetic retinopathy, or other eye health concerns, we welcome you to contact the Monterey County Eye Associates to schedule a consultation.